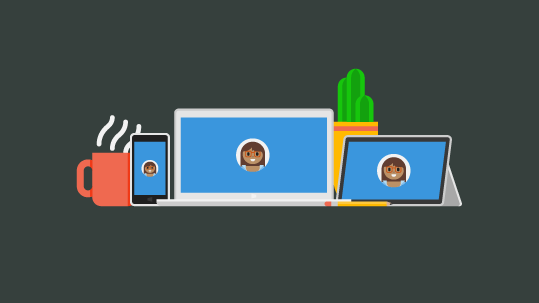 Whatever devices you have, getting your Microsoft account started is simple - setup takes a few easy steps. Make sure your device is running the latest version of Windows. Select the Start button, then select Settings > Accounts > Email & app accounts. Under Accounts used by other apps, select Add a Microsoft account. Follow the prompts to add your Microsoft account. You may need to verify your identity by entering a confirmation code. Your local account will switch to your Microsoft account. The next time you sign in to Windows, use your Microsoft account name and password. Your apps and files will not be affected. If you find that you're having issues signing in, or if you forgot the password for your Microsoft account, the Microsoft account FAQ may have some helpful pointers. Download any of the following apps on your Mac and sign in with your Microsoft account. To get the most from your apps and services, make sure to sign in to them with the same account everywhere. Get Word, Excel, PowerPoint, Outlook, and more with your Mac with Office 365. Office 365 is a subscription service built to help you get things done from virtually anywhere and on all your devices. Availability varies by country/region and by device. You can sign in with a Microsoft account during setup or after. In the App list, tap Settings, and then tap Email + accounts. Tap Add an account, and then tap Microsoft account. On the keep your life in sync screen, tap Sign in, and follow instructions to set up the account. Select which type of Xbox you have. You can sign in with a Microsoft account during Xbox One set up or after. Make sure your Xbox One is connected to the Internet. Then, choose Sign in in the upper-left corner of the Home screen, and select Add new. You can sign in with a Microsoft account during Xbox 360 set up or after. Make sure your Xbox 360 is connected to the Internet. Then, press the Xbox Guide button in the middle of your controller, and select sign in. To set up your Microsoft Band, follow instructions in the Get Started guide. During setup, the Microsoft Health app asks you to sign in with your Microsoft account. Go ahead and sign in with the same Microsoft account you use for all other Microsoft devices and services. Then, continue following the Get Started guide to pair your Microsoft Band with your phone.